Wahl Beard Trimmer Review – Is This the Best Affordable All-in-One Trimmer? A well-kept beard can make you look more masculine and suave. 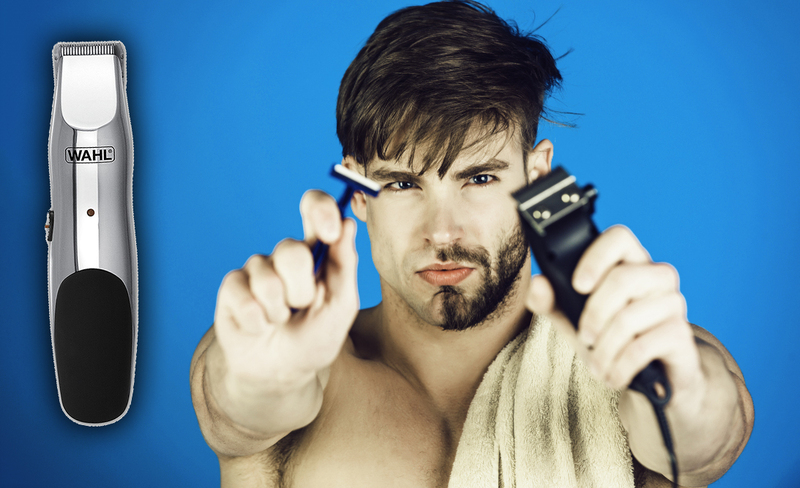 If you’ve decided to sport one yourself, the first thing you’ll need is a good beard trimmer. The Wahl Groomsman trimmer is one of the more affordable options in today’s overcrowded market. But does it really have everything you may need to keep your facial hair tidy? Before I answer that question, let’s take a closer look at this model’s features and performance. Who Is the Wahl #9918-6171 For? 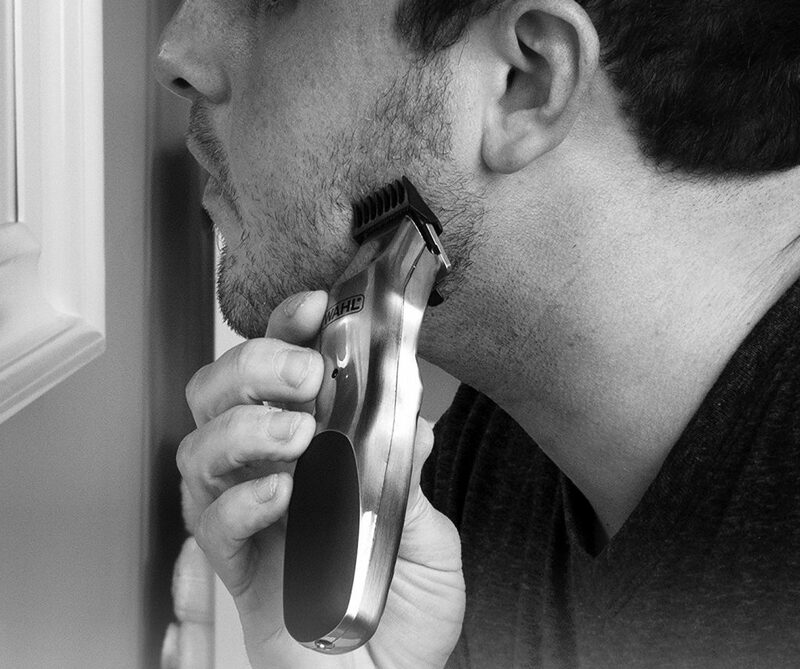 The Wahl beard and mustache trimmer is cordless, which makes it extra convenient to use. But even if you forget to charge the battery, the rechargeable cord is long enough to leave it on while trimming your facial hair. Here are the main pros and cons of this inexpensive beard and mustache trimmer. As I’ve already said, this is one of the least expensive trimmers you can get. But don’t let the low price fool you – this is a top-notch model that performs surprisingly well. Let’s look at the qualities that help the Wahl Groomsman trimmer stand out from other similar models. We all like to keep our facial hair at a length that works best for us. 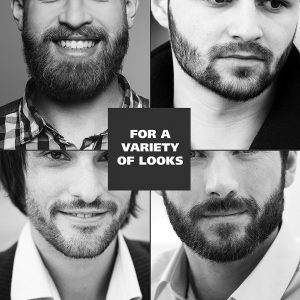 While some men opt for a neat, close trim, others prefer to wear their beard a bit longer. 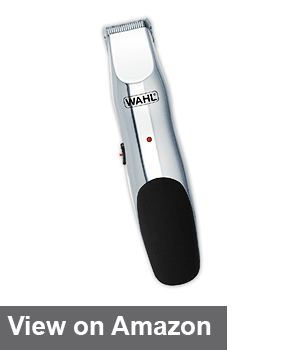 With the Wahl cordless trimmer, you’ll get three fixed-length guide combs. There’s a stubble guide, a 1/8-inch medium guide, and a 3/16-inch full guide. 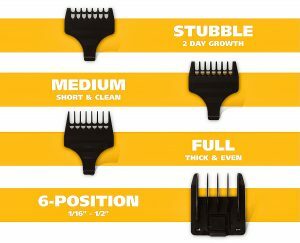 Not only that but you also get a unique six-position comb that you can adjust to your liking. All this allows you to experiment with the length until you find the one that’s just right. And when you do, you won’t have to readjust the comb the next time you use it, as the trimmer will remember your preferred position. This trimmer utilizes self-sharpening blades that won’t go dull due to frequent use. The blades are also positioned very high under the guide comb, thus allowing for great precision. This makes it great for men who prefer a very close trim, as well as those who like to outline their beard. Its ergonomic design ensures a good grip, so you’ll have no problems tackling the tricky area under your nose. If you’ve used a cordless trimmer before, you know that they can run out of battery before you’ve finished using them. Luckily, that’s not the case with the Wahl #9918-6171. This model has a powerful battery that can last for up to two months after you’ve charged it. Of course, the longevity will depend on how often you use the trimmer. As a rule, a single charging is enough for three or four full grooming sessions, as well as a few quick trims in-between. And if you really need to use the trimmer but the battery is empty, you can do so with the charging cable plugged in. It is much longer than in some other models, so you’ll be able to move the device freely even if you’re not standing right next to a socket. I’ve already mentioned that this trimmer comes with a total of four guide combs. But that’s not all. You’ll also get a sturdy beard comb you can use to dry your beard after you’ve washed it and before you start trimming it. The packaging also includes a 120V charger, as well as a neat storage stand that has room for the trimmer and all the accessories. Finally, you’ll get a sleek and durable zip-lock bag to store your trimmer safely when traveling. The Wahl beard trimmer comes with a few more accessories that will make maintenance much easier. You’ll get a cleaning brush, as well as a bottle of oil for the blades. For your trimmer to run smoothly at all times, make sure to apply a few drops of the oil every now and then. Also, keep in mind that this model is not waterproof. As such, you shouldn’t use water or any other liquid to clean it. No matter what you’re looking to buy, it’s always smart to look at a few similar products first. 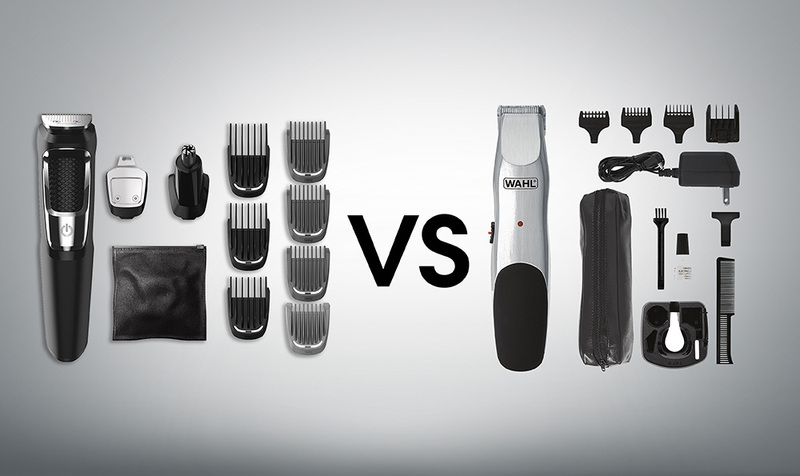 The Philips Norelco Multigroom MG3750 is very similar to this Wahl beard and mustache trimmer, which is why I chose to compare them briefly. Both models are similarly priced and come with plenty of accessories. Unlike the Wahl trimmer, the MG3750 also has attachments for nose and ears, which makes it a truly complete all-in-one package. Yet the MG3750 can’t match the battery life of the Wahl beard trimmer. And even though there are more lengths to choose from, the differences between them are very large, so it might be difficult to get the precise length you’re aiming for. On top of that, the Philips trimmer doesn’t come with a storage stand. 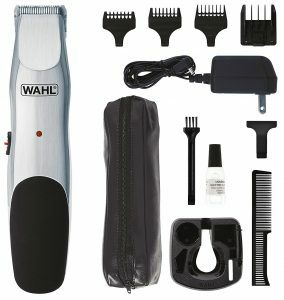 So even though the MG3750 comes with more bells and whistles, the Wahl #9918-6171 is definitely the better model. So, is the Wahl beard and mustache trimmer the all-in-one device you’ve been looking for? If you’ve read this review, the answer won’t surprise you. It’s a resounding yes. The cordless design with four different combs and six adjustable lengths allow for great precision and flexibility. With a battery that lasts for up to 60 days, you’ll never risk running out of power halfway into your grooming ritual. To make this an even better deal, you get plenty of useful accessories like the stand storage and the zip-lock bag. Finally, you get a three-year warranty on the trimmer, as well as a 60-day money-back guarantee. Whether you’re a new facial hair grower or an experienced beard-owner looking for a budget-friendly option, the Wahl Groomsman trimmer would be a really good choice. For now its just me , Mike Wright Living in Washington, D.C.
Finds passion in writing to help people in all aspects of lifestyle. Graduated from University of Washington Bothell School of Business.